Sorry for lack of pages, I have 2 other projects that I’ve been working on (one that I hope to finish for SPX in September) and I haven’t had time to prep the next chapter yet. I’m hoping to get the next chapter of the story started by the end of July, but until then I still want to do a sketch or small thing a week. 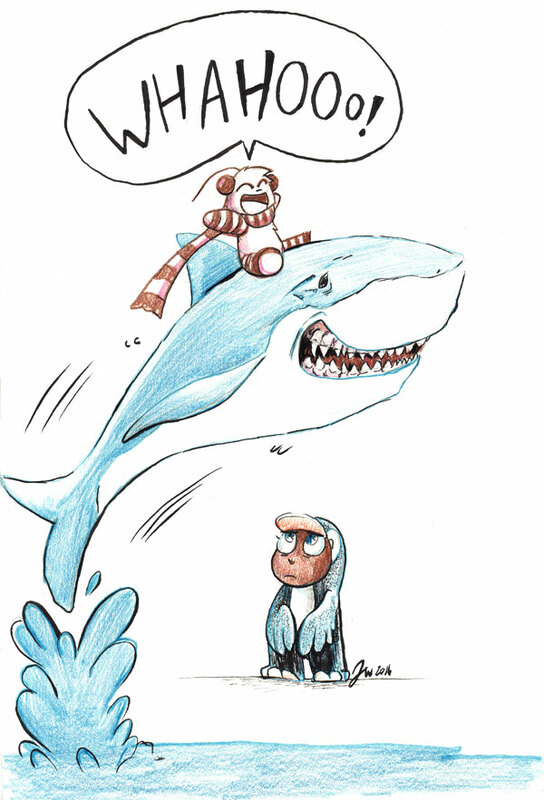 In the meantime: Here’s Rasbu is riding a shark.